During their Physiology Rotation, fellow rotate through the high volume Cardiopulmonary Exercise Testing (CPET) Laboratory at MGH. 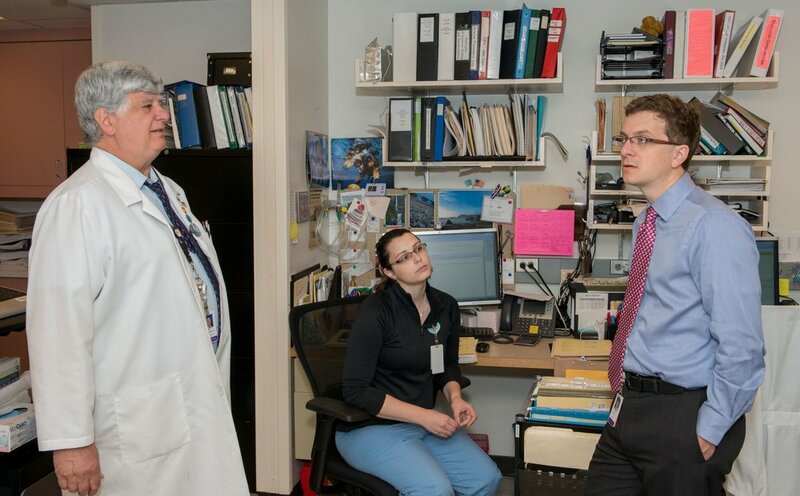 This CPET lab has expertise in Level III testing and cardiac imaging, and evaluates a diverse patient population, including pre-transplant cardiac patients, heart failure patients and patients with undifferentiated dyspnea. The lab is also home to an active research program, focused on phenotyping complex patients and identifying predictors of outcomes and response to therapy.